Travelling by air can be a thoroughly enjoyable experience. But of course, there are many things that can go wrong. Following our simple checklist will ensure a straightforward journey, with no added surprises. Although we live in an age where electronic documents are the norm, there is one exception – our passports. It isn’t the first time that someone has missed their flight or been delayed because they have forgotten this important document. Some people prefer to print their flight ticket, rather than relying on the electronic ticket number. If you have checked in on-line, remember your printed boarding pass. 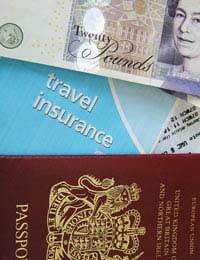 Confirmation of hotel bookings, car hire, coach pick-up, and holiday vouchers are important. It is useful to leave contact information with friends and family. Mobile phone numbers and the address and phone number of hotels and tour operators can also be good. Heightened security at airports is an everyday necessity. Inconvenient as it may be, queueing and transiting through security is to be expected to prevent terrorist attacks. The rule is easy – keep things simple. Remember to put items that will trigger the scanner into your hand luggage. For example, chunky jewellery, coins, watches, phones and belts can be stored safely in carry on bags. This will prevent unnecessary delay or prevent the embarrassment of a hand search. Laptops must be removed from hand baggage and should be placed into a separate box to go through the scanner. Bottles that contain more than 100ml of fluid are not allowed onboard aircraft. It is important to remove these from hand luggage before passing through security. Toiletries and cosmetics are best put into bags for the hold, unless they are small quantities. If you want to put them in your carry on bag, ensure they do not exceed the volume limits. All of these, up to and including items as small as lip balms and mascaras must be placed in a clear plastic bag, separate from your carry on bag to go through the scanner. Comfortable clothing is a must. Even short flights can cause feet to ache and muscles to swell. Shoes that can be taken on and off easily are much better than boots or footwear that have complex laces. Loose fitting clothing is better than tight fitted tops and trousers. Seats on aircraft are generally quite compact and it can be uncomfortable to sit for long periods of time. Clothing that provides comfort reduces fatigue from long-haul journeys. A long flight can be made much more bearable by passing the time reading or listening to music. Remember that electronic devices cannot be used until the aircraft has taken off, so books and magazines are best. Once airborne, MP3 players, ipods, portable DVD players and laptops can be used quite safely. When travelling with kids, travel games are a great idea, especially those with magnetic pieces – to prevent a desperate scramble when the dominoes get knocked over. Travelling by air can be fun. Travelling in business class or even first call can be a great experience. Not many people get the opportunity to upgrade when travelling but, by following some simple tips, your chances of getting a better seat increase. Firstly, dress is important. Check-in staff usually prefer to upgrade people who are well-dressed, not necessarily in business suits, but certainly smartly turned out. Don’t push it. Many people think, by pestering check-in staff for an upgrade, their chances of success increase. Not the case. A sympathetic traveller who is friendly to the airline staff will always receive more attention and will be more likely to find a pleasant surprise when they get onboard. Last minute check-in can help. Aircraft are usually overbooked, so those who check-in at the last moment may find they get upgraded to a higher class because their seat has already been allocated. Of course, last minute check-in adds to the stress of travelling so it is perhaps not worth the extra hassle.